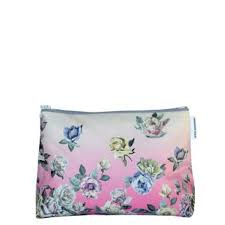 A beautiful digitally printed oil-cloth washbag carrying our elegant hand-painted First Rose floral design. Waterproof inside and out, and the ideal size for your smaller cosmetics. Now £11.20 Qty: 1 In-stock.